There are no zebras left at India’s Nandankanan Zoological Park, with the death of the fourth individual this month. The last of four zebras imported to a zoo in India from Israel in 2015 has died. The cause of death of the stallion on Monday morning has not been officially released, but a lightning strike is thought to have killed the rising three-year-old. He had been residing in enclosure 34 at the Nandankanan Zoological Park in Odisha, and was the only plains zebra remaining of the four from Tel Aviv zoo. There was marks of injury on the zebra, but the exact cause of the death could be ascertained only after post-mortem, the zoo said. Two died last year; a three-year-old mare on August 20, and a two-year-old filly died on October 29. On May 30 this year another rising three-year-old colt died, with a necropsy revealing toxaemia (blood poisoning) caused by clostridial infection. Originally, officials had considered a lightning strike as the cause, but no marks were found on the animal. 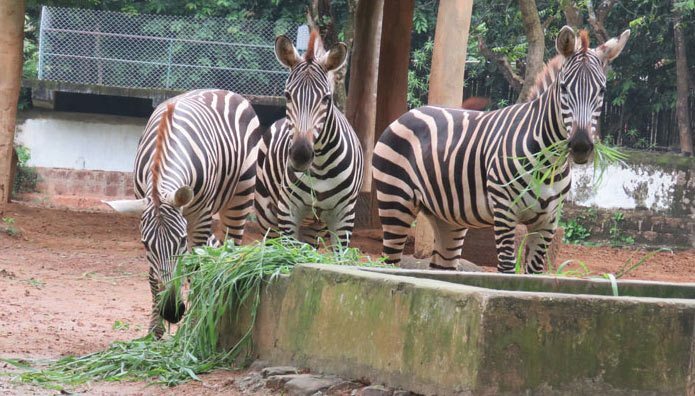 Zoo officials are in talks with other zoological parks to bring a zebra under an animal exchange programme.